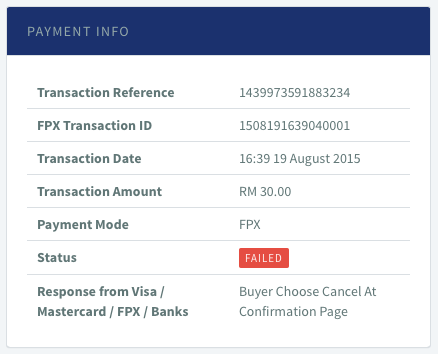 Why is my client's payment sometimes FAILED? 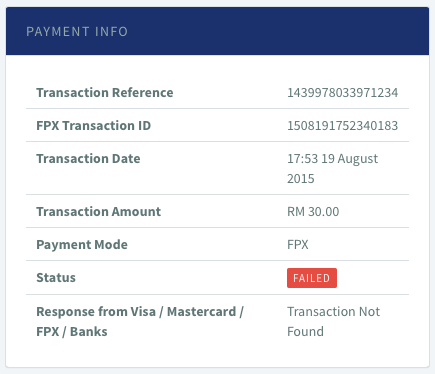 Why is my client’s payment sometimes FAILED? There are lot of reason why your customer’s payment is FAILED. 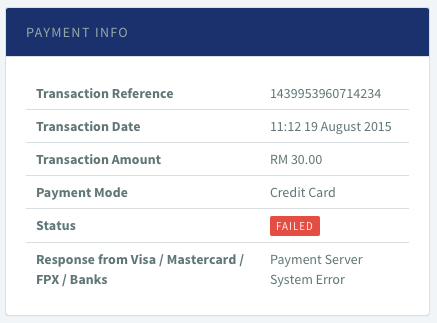 Due to this, we have enhance our DASHBOARD to check with the BANK and PAYMENT GATEWAY what is the reason and why is this happens. 3. 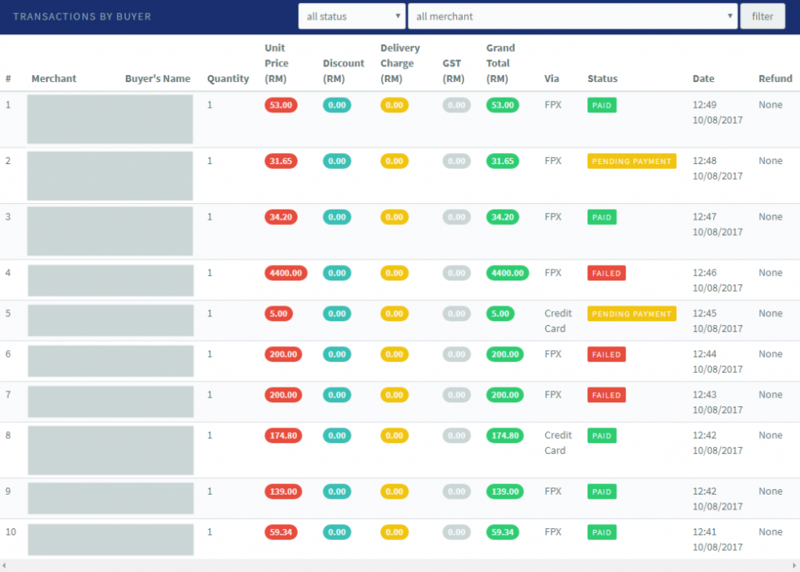 Select the transaction preferred. 4. Scroll down to the Payment Info section and focus on the Response from Visa / MasterCard / FPX / Banks field. 5. 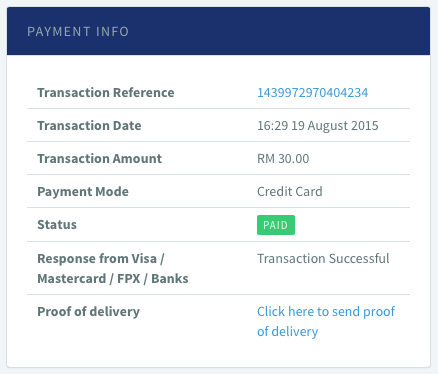 You will see the Payment Status response from Visa / MasterCard / FPX / Banks. 6. Here are more example. Where does this response come from? So this is not a response from senangPay? Yes. 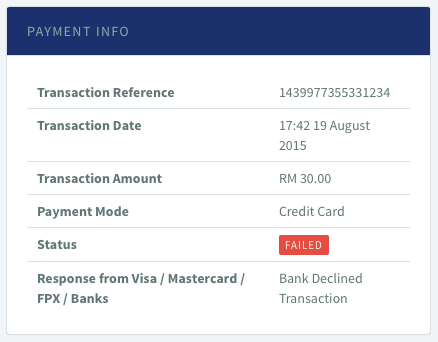 senangPay only received the response and display the response in the Dashboard. In other words, if the response is “Bank Declined Transaction” meaning the bank of the customer, declined the transaction and senangPay has nothing to do with this. 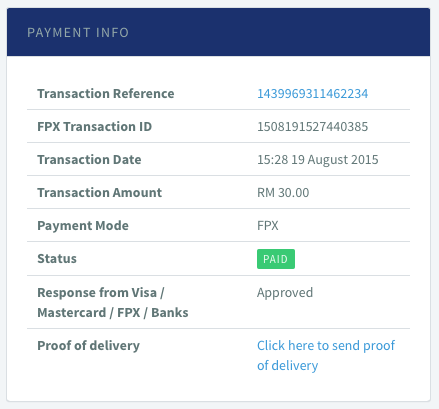 Here are the list of response from the Visa / MasterCard / FPX / Banks for your reference.